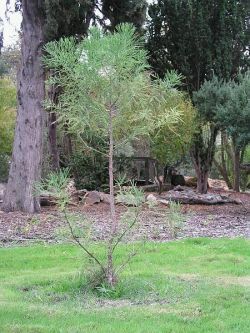 Comments: Decidious conifer native to Southern China and Viet Nam. Dark green scale like needles of two types--short awl-like scales on mature seed bearing branches and short needles on barren new growth. Adult tree height to 100' under ideal conditions. Similar to Bald Cypress in thriving on wet or swampy ground.